The ATI (Art and Technology of Image) department at University Paris 8 in France showed the possibility of relying on the open source graphic software as a good and efficient replacement of the one of most common proprietary graphic software, Photoshop. The department decided in 2015 to switch to the open source graphic software as a replacement for Adobe Photoshop, because of inadequate support from the company. The software company refused to help the French department by lower the price of their product, so the ATI decided to use an open source replacement. ATI teacher, François Grassard, said: “We decide to stop teaching Adobe products to our students because of our budget”. He added: “Our University is among public schools that are mostly free in France, except registration fees that are pretty acceptable in comparison to fees in some other countries”. 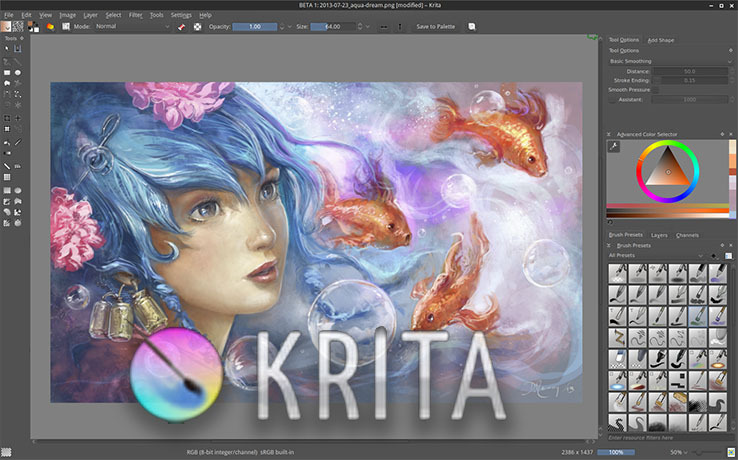 So, the ATI department decided to use Krita, an Open Source imaging application with emphasis on digital painting and illustration. And started a course to teach the student how to use it. In a three-week intensive project, the “Master 1” students work with not only Krita, but also others open sources graphic software, like Blender (3D graphics and animation software) and Natron (compositing software). The new open source graphic software didn’t affect negatively on the teaching process at the French art and technology of Image department, otherwise, they helped in lowering the costs of software licensing. The ATI experiment takes the attention of all other animation schools in France, fellow members of RECA (the network of French schools of animation), are watching the University Paris 8’s art department avidly to see how this new methodology works out before deciding to use it as well.